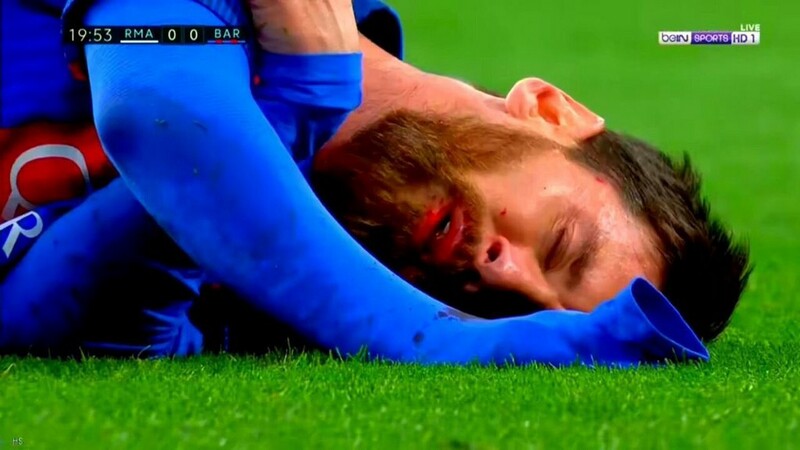 For the second time in four days, Lionel Messi laid on the ground bleeding from his face during the first half of a match. Like Juventus before them, Real Madrid seemed determined to destroy Messi. And an unpunished elbow to the mouth from Marcelo nearly did the trick. But, as he always does, Messi got up and played on. Fourteen minutes later, he scored his first goal of the day to make it 1–1. 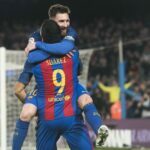 After a bit more abuse, and with Barca up 2–1, Sergio Ramos aimed a two-footed lunge at Messi to extend his club record for red cards and reduce Madrid to 10 men in the 77th minute. Having survived all of this, Messi decided it was time for revenge. So, with considerable help from Sergi Roberto, he crushed the home side’s euphoria from James Rodriguez’s short-handed equalizer in the 85th minute by scoring a winner in the second minute of injury time. Not only did this goal put Barca above Real in the table, it also happened to be Messi’s 500th goal for the Blaugrana. 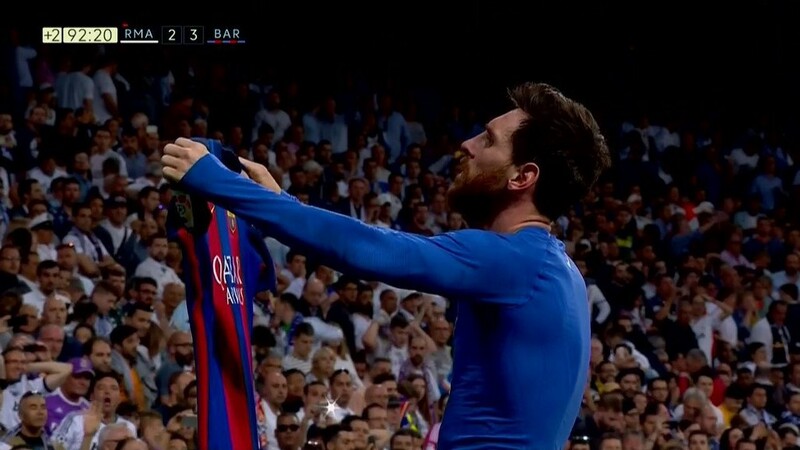 He then celebrated in very un-Messi-like fashion by completely removing his shirt and calmly holding it up to the Bernabeu crowd. Of course, he was shown a yellow card for taking off his shirt, but it was totally worth it. Also, with all the blood loss, he probably thought he was at the dry cleaners at that point and the card was his receipt.